Coco Montoya, who drew the largest Bluesdays crowd of summer 2018, will play at MontBleu Casino Resort & Spa on April 12 along with Jimmie Vaughan. Pardon the French, but MontBleu is fast becoming a venue for the nation’s top blues artists. Jimmie Vaughan with special guest Coco Montoya will perform at the MontBleu Casino Resort & Spa on Friday, April 12, Devildog Productions announced this morning. Tickets will go on sale this Friday, Feb. 15. 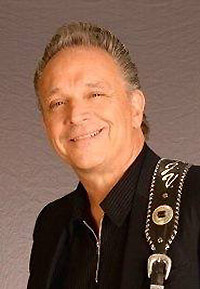 Influenced by fellow Texas natives Freddie King and Johnny “Guitar” Watson, Jimmie Vaughan is a co-founder of the Austin, Texas, band The Fabulous Thunderbirds and is the older brother of Stevie Ray Vaughan. He has released solo albums for the last 25 years. Coco Montoya is a protégé of his former band leader Albert Collins, although he was first inspired to play blues by Albert King, who also plays left-handed and upside down. At the end of 2018, MontBleu hosted two events called the MontBlues Ball, which featured Elvin Bishop’s Big Fun Trio, Marcia Ball, Roy Rogers, Tommy Castro and the Painkillers, Tinsley Ellis, Curtis Salgado and Eden Brent. Vaughan, 67, who has four Grammy Awards, released “Live at C-Boys” with the Jimmie Vaughan Trio in 2017. Montoya, also 67, released his “Hard Truth” album the same year.